... and killing Aaron. Tough break for that kid. 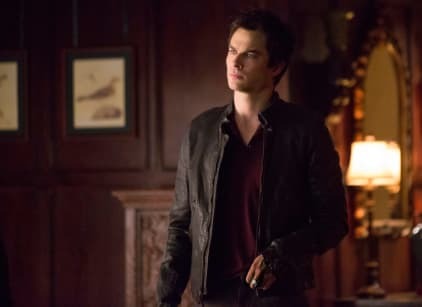 Elsewhere, a Traveler completed the spell that placed Katherine permanently inside Elena's body, but Katherine chose to stick around because she has her sights set on Stefan. Also, Tyler discovered Caroline slept with Klaus and did not react well to the news at all.